We’re committed to delivering you consistent, reliable, factory-level service on all of your production gear. Our camera, optical and monitor calibration equipment are among the highest grade of service instruments available anywhere in the United States. 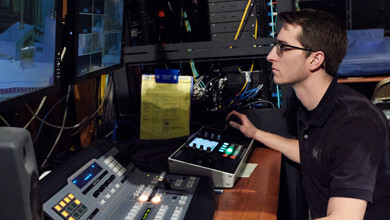 Our integration specialists put their expertise with production and post workflows into action when they engineer live production studios, streaming media and asset management solutions that are scalable and cost-effective. Ensure all the equipment you rely on—cameras, lenses, monitors, tripods, and accessories—is working at peak performance with regular maintenance or repair. Our facilities have earned authorized service status from a number of manufacturers, so you can always trust our work. A properly calibrated monitor and projector is essential for critical imaging applications so you always see an accurate representation of the recorded image. Our evaluation and calibration services ensure your monitors meet scientific, industry standards. Our specialists can perform specification, engineering and installation of live production and media management solutions for a wide range of organizations, including media companies, educational institutions, and corporations, to name just a few. "Almost anyone can sell or rent this equipment. 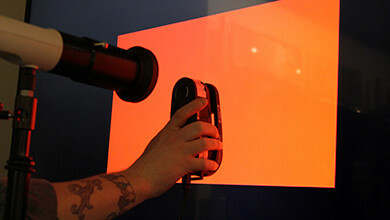 But everyone [at AbelCine]—sales, rental, service, and technical support—cares about what they're doing. They're passionate about the industry, the equipment, and—most importantly—their customers." Plan for the unexpected with the AbelCare flexible spending program. You’ll get access to equipment maintenance, front line tech support, training, and additional benefits at discounted rates. Packages are highly customizable for all styles of production and fit any budget.